Few consumers ever stop to think about the packaging their products come in – unless, of course, the packaging doesn’t work. That’s the scenario packaging engineers work to avoid. While we may not pay much attention to it on an everyday basis, taken altogether, packaging is the 3rd largest industry in the world, encompassing everything from the boxes and bags enclosing our food to the complex and critically important means for transporting dangerous and hazardous materials. Michigan State University was the first school to offer a specialized degree program in packaging science, beginning in 1952, and the first to create a dedicated school for the field, but since that time packaging design and engineering has grown into a diverse and multi-faceted part of higher education. Many packaging degrees are in engineering departments and related to Mechanical Engineering; in fact, one of the most reliable ways to enter the field is by earning a degree in Mechanical Engineering with a certificate or concentration in Packaging. Other programs focus on the design aspect of packaging, and find themselves housed in Graphic Design or business and marketing schools. Others may be in chemistry programs (such as paper engineering) or food and agriculture (for food-specific packaging programs). New, alternative certification options are beginning to appear as well, such as the pioneering certificate offered by The Packaging School, a program designed by award-winning Clemson University faculty. Whether the program focuses on the science of packaging, or the visual design and selling of products, Packaging Science is a highly rewarding and stable career; one packaging science faculty member reports on Quora that students have seen starting salaries upward of $85,000. Payscale data shows a more conservative figure, though still respectable around $67,000. In the internet age, as e-commerce has turned into everyday commerce, companies like Amazon have made us take delivery for granted, packaging – for marketing, for shipping, for shelf life – is more important than ever. Schools were issued a bonus point if the institution is an Association for Packaging and Processing Technologies (PMMI) partner school. PMMI is the foremost organization dedicated to the packaging and processing industry, including equipment manufacturers, suppliers, and service providers. An internationally-recognized model for technology, engineering, and applied science education, California Polytechnic State University is one of the leading institutions of its kind. Recognized for the highest ROI of any California public university (next to UC Berkeley), Cal Poly proves its value with world-class programs led by highly decorated faculty, from computer engineering to business. With graduates highly sought by employers, Cal Poly has long been known as one of the best places for students heading into a scientific career. Cal Poly is also named as the top regional university in the west by U.S. News & World Report. Cal Poly offers two distinctive programs in the packaging engineering field: the BS in Industrial Technology and Packaging is a top interdisciplinary program bringing together engineering, design, supply chain management, and entrepreneurship courses. The MS in Packaging Value Chain is a highly competitive, fully online graduate degree that pulls together interdisciplinary courses to prepare graduates for managerial and leadership roles, including design, finance, and analytics. Both programs are models for the field, with the high job market value of the Cal Poly name giving graduates a lot of assurance going into their careers. A large, public research institution in the California State University system, San Jose State University is noted for their deep and very rewarding relationship with nearby Silicon Valley. As such, SJSU has some of the most competitive and highly-ranked engineering programs in the nation, including computer and software engineering, electrical engineering, and more. SJSU sends more graduates to Silicon Valley than any other school in California, and alumni support for the university has only increased its reputation as one of the best places for aspiring engineers. SJSU offers an unusual interdisciplinary program focused on food packaging: the BS in Nutritional Science with a concentration in Packaging. This exceptional major brings together not only nutrition and food science, but design, processing, materials, and all of the many demands that come into creating, packing, and shipping food. 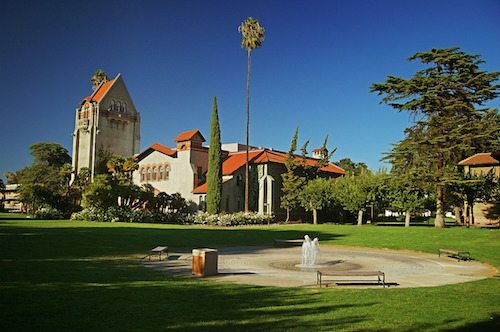 Such an intensive and thorough program in this area is rare, and SJSU’s affordable tuition, both for California residents and non-residents, has given it a solid reputation as a value. 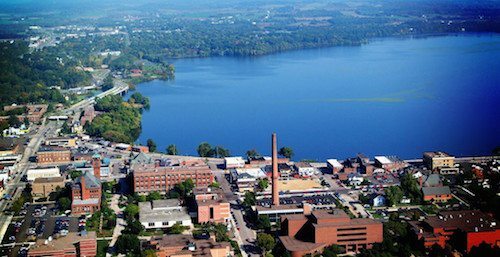 Named as Wisconsin’s public polytechnic institute, the University of Wisconsin-Stout has a special mission and purpose – to bring affordable, accessible public education in engineering, applied science, healthcare, and other professional and technical fields to the people of Wisconsin. With this particular vision, Stout has quickly become one of the state’s most diverse, accomplished, and desirable institutions, with students from across the nation coming to Wisconsin for top-notch engineering programs. UW-Stout offers a BS in Packaging dedicated specifically for prospective engineers and designers in the packaging field. The program has been built on the needs of industry, with an emphasis on analytical and problem-solving skills that use the available technology to its fullest potential. For further study the Stout MS in Manufacturing Engineering offers the courses students need to focus on the technical aspects of packaging, from development and design to testing. Both programs use hands-on, experiential learning, and the MS degree can even be earned fully online for working professionals. 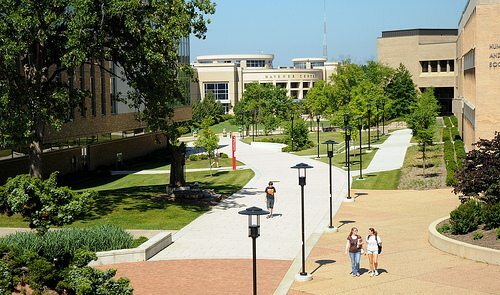 Ranked in the top engineering schools in the nation by U.S. News & World Report, Missouri University of Science and Technology – better known as Missouri S&T – began its life as a mining school before growing into a leading applied science, technology, mechanical, and engineering research university. 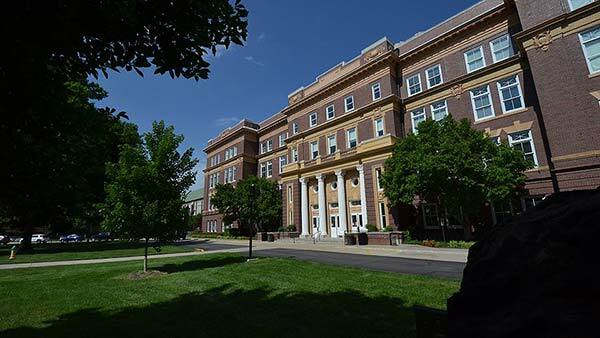 Missouri S&T is noted for their model undergraduate research opportunities, including many award-winning student engineering projects, as well as deep connections to the industry sector of the Midwest, giving students a strong presence in the job market. MS&T offers a BS in Engineering Management degree program that offers unprecedented flexibility and breadth. While there is no specifically named packaging concentration, the Engineering Management curriculum leaves room for specializations in areas like design, production management, design and integration, and quality assurance that can easily be crafted into a degree appropriate for a packaging design and engineering career. MS&T’s reasonable tuition rate, and highly trusted reputation, make all the difference for graduates. Purdue University Northwest is one of the newest institutions in the Midwest, founded by a merger of Purdue Calumet and Purdue North Central in just 2016. One of the benefits of this merger has been increased exposure for the Center for Packaging Machinery Industry, a cutting-edge research institute dedicated to collaboration with industry partners first established by Purdue Calumet’s College of Technology. This innovation provides the foundation for Purdue Northwest’s Mechatronics Engineering program. Purdue Northwest’s BS in Mechatronics Engineering Technology is a new paradigm program combining mechanical engineering, electrical engineering, and manufacturing into a highly flexible degree. Purdue Northwest’s model mechatronics lab is the setting for a program that can provide career opportunities as a Packaging Engineer, as well as related paths such as machine design and human/machine interface. It’s a program like no other from a university synonymous with excellence. One of the foremost public research universities in the South, the University of Florida is the state’s flagship land, sea, and space-grant institution, ranked among the top 15 public universities in the nation by U.S. News & World Report. UF is a nationally respected leader in the sciences, including top-ranked programs in engineering, agricultural sciences, biology and biochemistry, and more. As one of the largest research institutions in the nation, UF is most renowned for their groundbreaking programs in biotechnology. UF’s expertise in engineering, biology, and technology come together in their unique BS in Biological Engineering-Packaging Engineering concentration. This program, part of the larger Biological Engineering major, focuses on all of the aspects involved in the design and creation of food packaging, from computer design skills to biochemistry and physics. The University of Florida’s wide, strong connections to industry and business in the region promises a secure presence in a competitive job market for graduates. The Virginia Polytechnic Institute and State University is widely recognized as one of the top public universities, and particularly as one of the best engineering schools, in the nation, with high rankings from U.S. News & World Report and other ranking agencies. 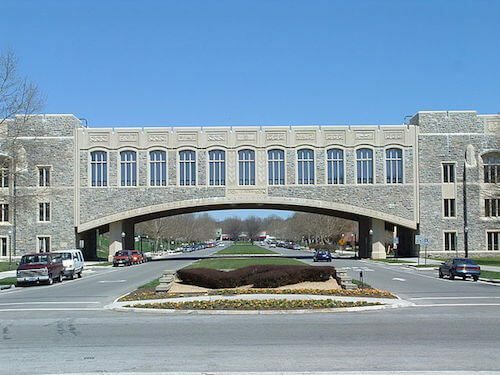 In addition to their excellent engineering programs, Virginia Tech is notable for their College of Agriculture and Life Sciences, the Pamplin College of Business, and the College of Natural Resources and Environment, one of the most respected and influential environmental science schools in the world. The CNRE’s Department of Sustainable Biomaterials offers a unique BS in Packaging Systems and Design focused on the growing need for environmentally responsible and sustainable packaging systems now and in the future. This exceptional program is built on the Center of Packaging and Unit Load Design, a specialized research center, and includes strong student support, small classes, and hands-on experience including internships and employment opportunities. With the Virginia Tech reputation, strong industry connections, and a specialized education second to none, graduates can trust their investment. 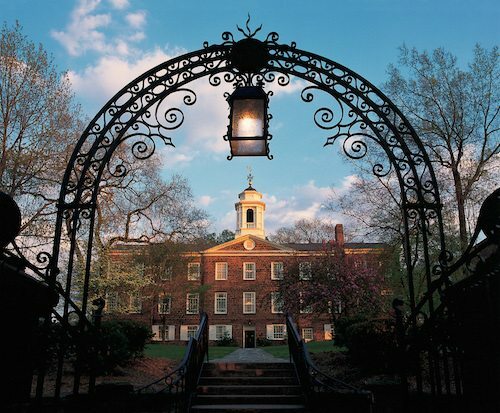 One of the oldest universities in the US – in fact, one of the nine colonial colleges founded before the American Revolution – Rutgers University is also one of the most current and innovative, never resting on its history. As New Jersey’s land-grant institution, Rutgers is best known for their agriculture and engineering programs, and its influence throughout the Northeast, with deep industry and government connections, is unparalleled. Rutgers’ School of Engineering is one of the most respected in the nation, with more than a dozen dedicated research centers and numerous specializations such as the exceptional Packaging Engineering program. Rutgers offers BS and MS degree programs in Packaging Engineering, focusing on the interdisciplinary skills necessary to design, manufacture, and market packaging in a variety of fields. For working professionals already in a related field, undergraduate and graduate certificates provide a lower-cost and less intensive credential for promotion and advancement. As the first engineering school with a packaging specialization, Rutgers is a leader in a new and exciting field, and a trusted name in the higher education marketplace. The only private technical college in the region, Dunwoody College of Technology is a highly respected institution focusing on career preparation and vocational training for students interested in highly technical fields like computer science, robotics, and machining. Students who want to enter the workforce quickly, without a bachelor’s degree, find a thorough education and trusted reputation in Dunwoody College. Largely focused on 2-year associate’s degrees, Dunwoody is the Midwest’s leading institution of its kind. Dunwoody College offers two Associate of Applied Science degree programs that could lead to a career in packaging. The AAS in Graphic Design makes use of Dunwoody’s top-notch printing and packaging lab and 21st century design studio to give students experience in every aspect of designing and producing packaging. The AAS in Automated Systems and Robotics, in its own right, is designed according to the standards of the Packaging Machinery Manufacturers Institute (PMMI) and the Institute of Packing Professionals (IoPP) to give students everything they need for a career in design and management. Dating back to the 1891 merger of a literary society and a mechanics school, the Rochester Institute of Technology has always kept pace with the changes in applied science, engineering, business, and the arts, and earned its U.S. News & World Report status as one of the ten best regional institutions in the North. RIT is known for its professional and career focus, including a model co-op education program that connects students to industry partners. A strong job market presence added to RIT’s academic rigor makes for an all-around value. RIT offers both BS and MS degree programs in Packaging Science, offered by the College of Applied Science & Technology. The RIT BS in Packaging Science is recognized as one of the most effective in the nation, combining hands-on laboratory learning with a co-op experience that provides students with employment opportunities. The MS in Packaging Science program from RIT is ideal both for working professionals in the field who want to earn credential for advancement, and recent graduates who are adding a specialization to their degree. RIT graduates have a high level of job placement and a high ROI, making for a solid investment. Clemson University is a highly respected, public research institution, one of the top 25 public universities at the national level according to U.S. News & World Report, and one of the south’s leaders in agriculture, engineering, and health sciences. An aggressive expansion and investment over the 21st century has led to a steady rise in national reputation for Clemson, and as South Carolina’s land and sea-grant university, Clemson has been a pioneer in science education for the south. The Clemson Department of Food, Nutrition, and Packaging Sciences offers BS and MS programs in Packaging Science that are designed to give a varied interdisciplinary grounding in all of the science and business that goes into creating packaging for products, food, health care supplies and more. This interdisciplinary program draws on many of Clemson’s strengths, from food and biological sciences to health care and business, and an accelerated program allows undergraduate students to earn their BS and MS combined in only 5 years. With strong corporate partnerships, Clemson packaging graduates go onto the job market with a distinct advantage. 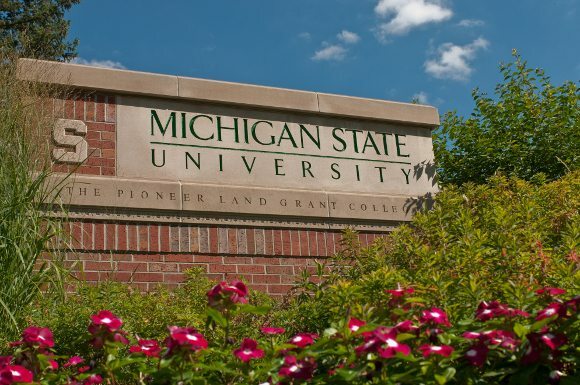 Michigan State University was the first land-grant, public research university in the nation, a history that has led to its reputation as one of the nation’s most renowned institutions for applied science, engineering, agriculture, and business. MSU pioneered fields like communications and hospitality, and is noted as one of the strongest institutions for job market performance in the Midwest, with intensive attention from industry recruiters in business, engineering, and other fields. Further MSU also created packaging science as we know it. 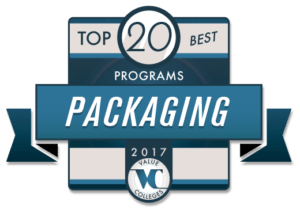 As the first university to offer a packaging degree, in 1952, and the first to establish a dedicated School of Packaging, Michigan State has the field perfected. Students in the MSU School of Packaging can earn a BS or MS degree, as well as a rare PhD in Packaging for those who wish to enter an academic or research career. Students not only learn the most current and up-to-date technical knowledge, but the full range of the field, from human factors and environmental impact, to quality protection and damage prevention. With MSU’s reputation in the field, graduates will be turning away offers. A multi-campus technical college based in northern Wisconsin, Wisconsin Indianhead Technical College is a career-training school with a large impact on the state’s citizens: as many as 1 in 9 residents have taken a course from WITC in some form, or over 600,000 people. 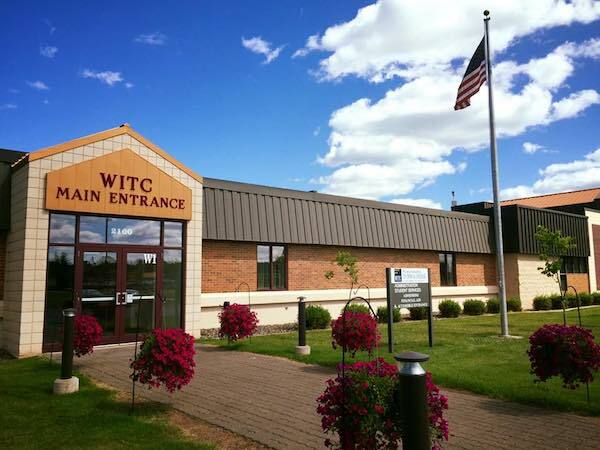 As a technical college, WITC is responsible for providing the people of Wisconsin with an affordable and accessible means to earn the credentials and skills they need to enter their careers, and WITC does that job well. For students and working adults who want to get their start in the packaging field, but are not ready to commit to a full four-year program, WITC offers an Associate’s of Applied Science degree program in Automated Packaging Systems Technician. This program provides all of the technical skills necessary to enter the field at a technician level, with hands-on learning from experienced experts. It’s a low-cost commitment that can open the door to a rewarding career and further expertise. 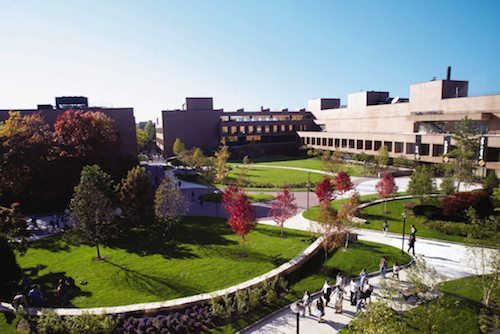 Regularly ranked among the best regional institutions in the Midwest by the Princeton Review, Indiana State University has a strong reputation for value, community service, and job placement for graduates. 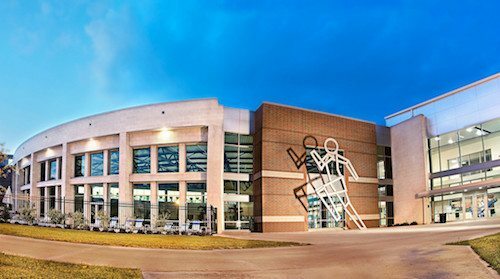 As a regional university, Indiana State emphasizes accessibility, ensuring that any Indiana citizens who want a quality professional or technical education can attend. The Scott College of Business is well-respected in the region, and the College of Technology has a growing reputation. Both programs inform the College of Technology’s Packaging Engineering Technology BS degree program at Indiana State, an industry-focused curriculum that prepares students for both the technical demands of the field, as well as the management aspects of leading projects. Top of the line laboratories and experiential learning from a knowledgeable faculty gives students an excellent entry point into the packaging field, from design and marketing to manufacturing. Further, Indiana State’s excellent student support and professional development have given graduates a high rate of job placement, making ISU a reliable investment. Part of the highly respected University of North Carolina system, Appalachian State University is a large public research institution with a deep connection to the mountain region of North Carolina, from arts and culture to industry and government. Dating back to 1899, Appalachian has been a key to professional and technical education in the region for well over a century, and their commitment to community service has made Appalachian a vital part of life for North Carolina’s residents. Appalachian State’s Department of Art is spearheading an innovative approach to packaging science with Appalachian’s BS in Graphic Arts and Imaging Technology, a design-centered program emphasizing the visual, production, and distribution aspects of packaging. Combining art, technology, and management, the GAIT program prepares students for a wide range of career paths and incorporates a community and global engagement component to foster responsibility and service. It’s everything Appalachian is renowned for, and a 21st century value. A small, regional public university in rural southeastern Kansas, Pittsburg State University has an important mission, meeting the educational needs of Kansans with low faculty-student ratios and strong student support. Historically situated in coal country, Pitt State today plays a major role in helping the people of the region adapt to a professional and industrial economy by offering top-quality degree programs in necessary areas like business, technology, and education. Pittsburg State’s BS in Technology degree in Graphic Communications offers a concentration in Packaging Graphics that is oriented toward the technical requirements of creating and distributing the graphic elements of packaging. The Graphic Communications degree emphasizes flexible basic knowledge that can be adapted to a variety of career paths, including designer, research, sales, and management, giving graduates entry into a growing field. Pittsburg State’s low tuition rate, in turn, makes for a quicker return on graduates’ time and money. One of the world’s foremost universities for fashion, graphic design, and business, the Fashion Institute of Technology is a respected part of the State University of New York system, dominating fashion education since 1944. Obviously, its New York City location, in the Chelsea neighborhood of Manhattan, has made FIT one of the most well-connected institutions in the world for art and design, and their prominence has brought them the most experienced faculty and promising students in the nation. FIT’s BFA in Packaging Design is the only degree of its kind in the nation, and is therefore a highly competitive, influential, and innovative degree destined to be imitated. The Packaging Design BFA emphasizes applying research, analysis, and creative thinking to branding, consumer behavior, and marketing trends to create effective packaging. FIT’s reputation all but guarantees graduates a place in the competitive New York marketplace, working for some of the best-known companies in the world. 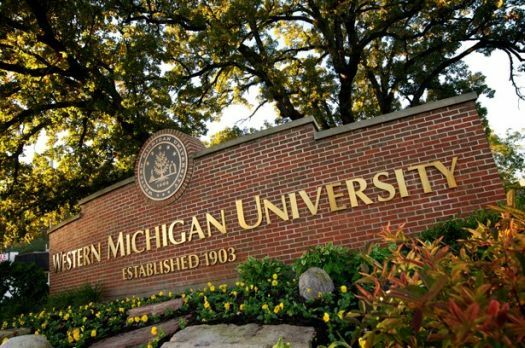 A large, public research institution based in America’s most whimsically-named city, Kalamazoo, MI, Western Michigan University is known as a nationally-ranked, top-tier institution by U.S. News & World Report. 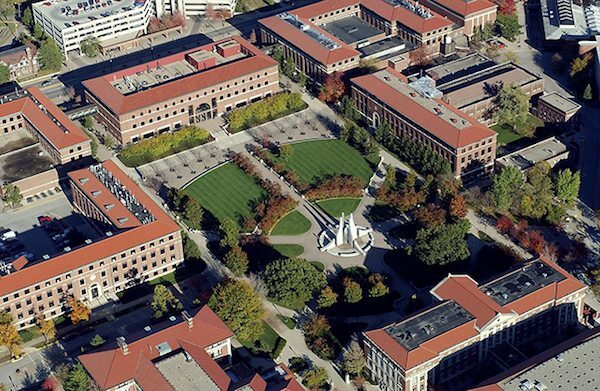 In addition to being recognized as a top military-friendly institution, WMU is also known for their excellent student support, with small classes, close personal mentorship from professors, and ample opportunities for hands-on research for undergraduates. All of these benefits make WMU one of the best choices for Midwestern students. WMU offers two packaging-related degree programs. The BSE in Paper Engineering focuses on the chemistry, processing, and development of the paper industry, from environmental science and recycling technology to new forms of paper making and manufacturing. The BSE in Engineering Design, on the other hand, emphasizes computer modeling, testing, and design to improve manufacturing. Both feature hands-on research and internships, and both can be used as a stepping stone into a high-order packaging career. A unique, fully-online certificate program, The Packaging School may be a glimpse into the future of higher education in packaging and design. Developed by faculty from Clemson University (#11), the Packaging School is an innovative and entrepreneurial online community that seeks to bring together professionals in the packaging field for education, networking, and discussion. This licensed program has already proven itself with graduate hires by numerous corporations and businesses throughout the region. As the exclusive licensee of a professional packaging curriculum developed at Clemson University’s acclaimed packaging science degree program, the Packaging School offers an affordable, 12-course, fully online program in the packaging industry. The Packaging School’s curriculum is designed specifically to help working adults earn credentials for career change or advancement in their current packaging-related career, or to help working professionals network and update their knowledge of their field. 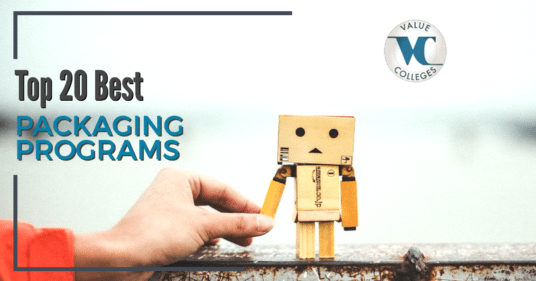 They also complement the degree progress of students who are looking to get a packaging credential on their resume, but are unable to attend one of the other 20 schools on our list. The online certification is an exciting new method of education, and the Packaging School is certainly not going to be the only game in town for long. A large, public research institution, and the flagship of the Tennessee Board of Regents system, the University of Memphis is known for its diversity and excellence. Founded in 1912 as a normal school (teacher’s college), the University of Memphis is a major part of life and culture in the city, with a strong regional reputation for excellence and innovation. As one of Tennessee’s foremost universities, UofM is central to professional and technical education in the state. UofM’s Department of Mechanical Engineering offers a graduate certificate in Packaging Engineering that is designed for working engineers who want credentials for advancement, working professionals in another field looking for a career change, and current graduate students who want a specialization. This 9-credit certificate program gives students a grounding in the basics of packaging, including design, distribution, and hands-on research opportunities. It’s an affordable and convenient way to make a change or open up a career path in the packaging industry.